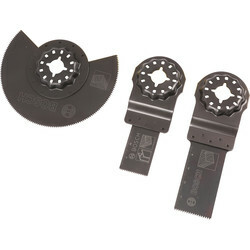 Discover multi tool accessories for every application at Toolstation including saw blades to cut wood, plastic and metal. 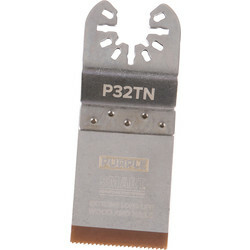 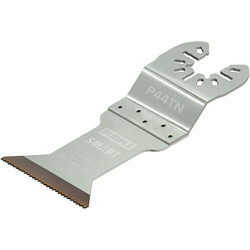 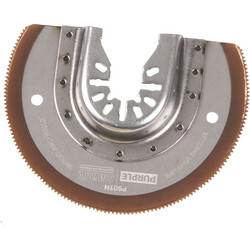 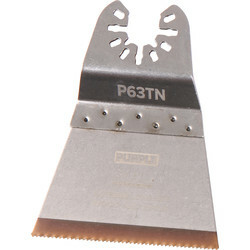 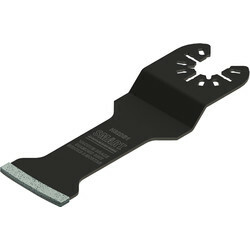 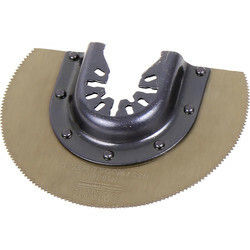 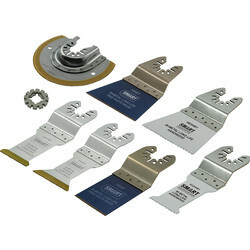 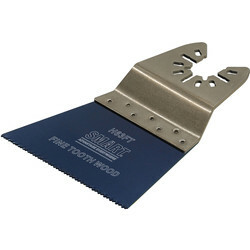 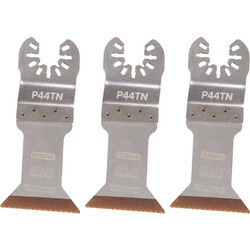 Also in this section find plunge cut blades designed to fit a range of multi tools with a quick release fitment, sanding sheets and scrapers. 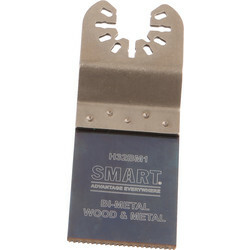 We stock a range of multi tool blades including the Smart multi cutter bimetal saw blades for universal cutting up to 42mm. 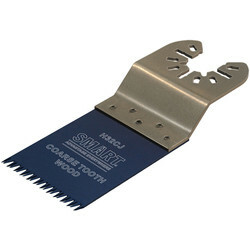 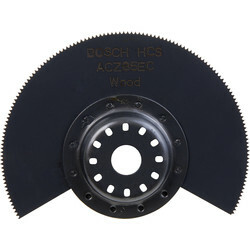 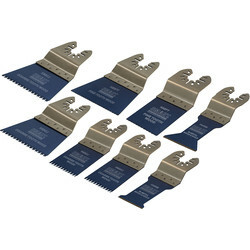 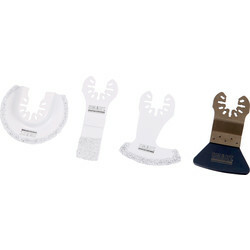 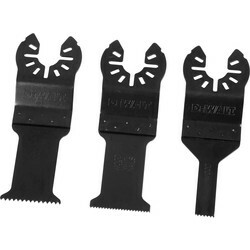 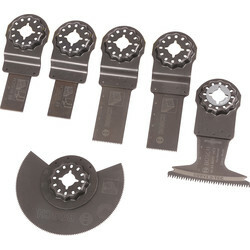 The Smart multi cutter blade set comes with 8 saw blades for cutting wood and plastic. 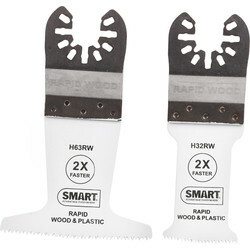 To create a cut in the centre of wood, choose a plunge cut blade such as the GOP plunge cut saw blade in sizes 20mm to 32mm. 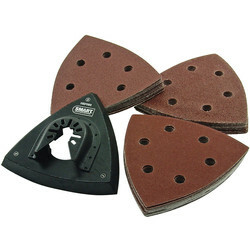 Leave a smooth, soft finish on wood with sanding sheets such as the GOP Delta 93 sanding sheet. 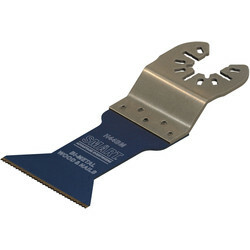 To remove residue of mortar, concrete, tile or carpet adhesive, consider the GOP HCS rigid scraper for use with the GOP 10.8V-Li-Ion professional multi cutter. 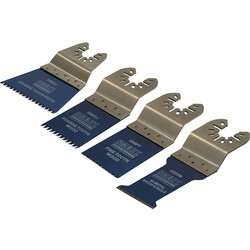 Click and collect from your nearest Toolstation branch or spend over £10 for free delivery.